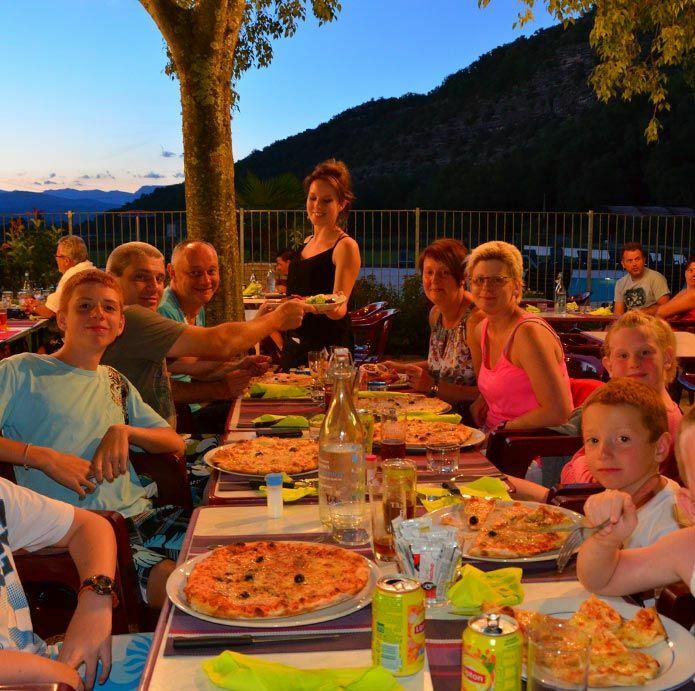 Unforgettable holiday in the Ardeche! 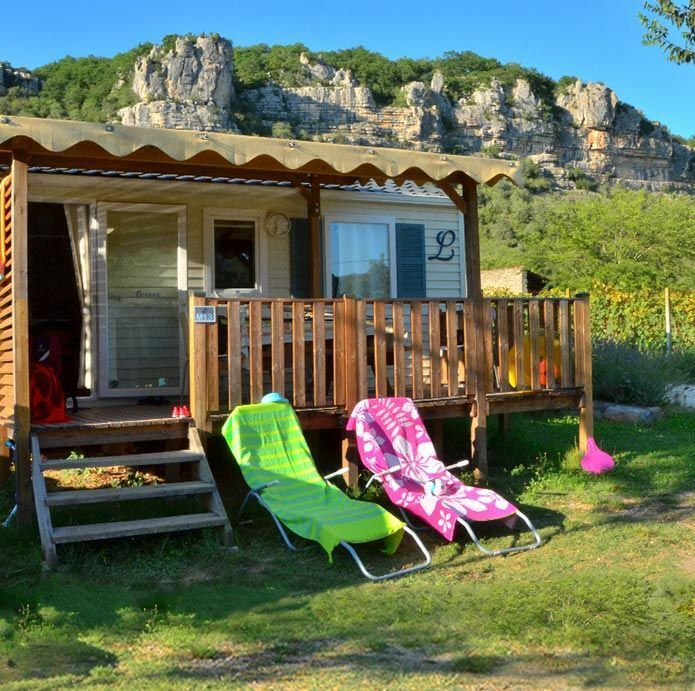 Located on a riverbank in “La Beaume” canyon in Ardèche, our family campsite Les Platanes is surrounded by exceptional natural beauty, vineyards and white limestone cliffs. 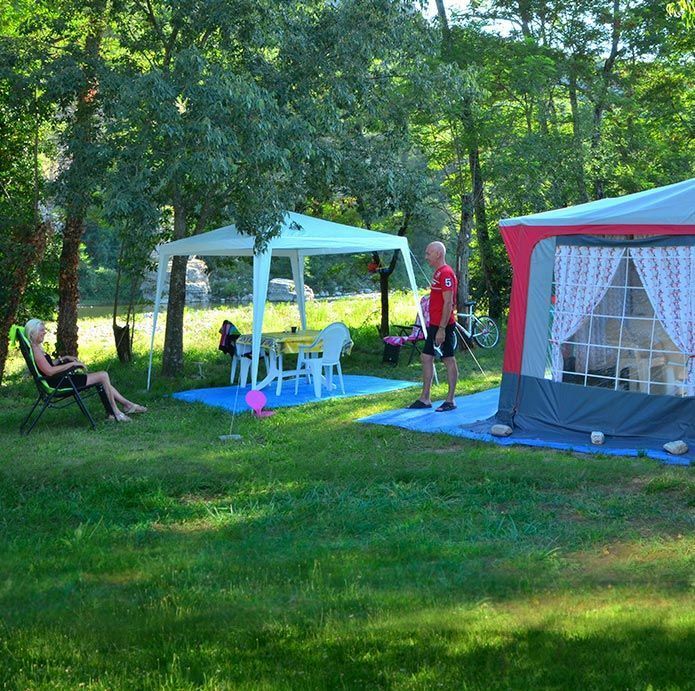 Ideally located, our camp-site in Ardeche is the best base camp to discover many tourist sites. You will also appreciate the typical Ardeche villages: Balazuc or Vogüé ranked among the most beautiful villages of France, or Vallon Pont d’Arc, Ruoms and Joyeuse, tourist towns of southern Ardèche. 3 star camp-site in Southern Ardèche with swimming pool. Check out our Mobile Home (Trailer) rentals. For all information, contact us with the form on this site or by telephone on +33 (0)4 75 39 52 31. 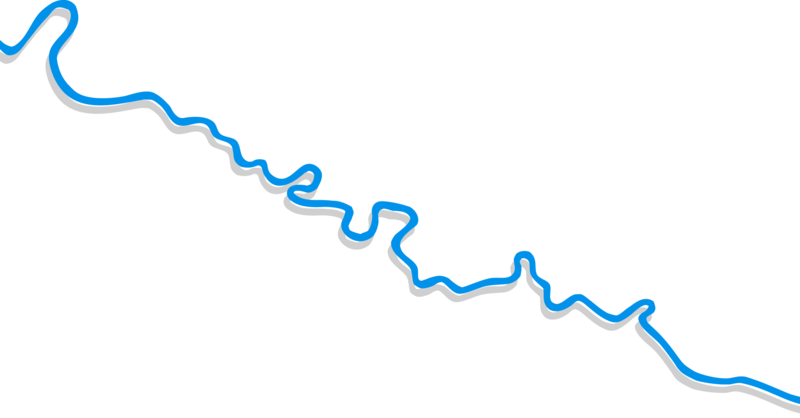 You will enjoy the thirty kilometers between Vallon Pont d'Arc and Saint Martin d'Ardèche, in the canyon of the gorges of Ardeche in canoe, hiking or driving. Unspoilt nature and wild landscapes will leave you great memories of Ardeche.